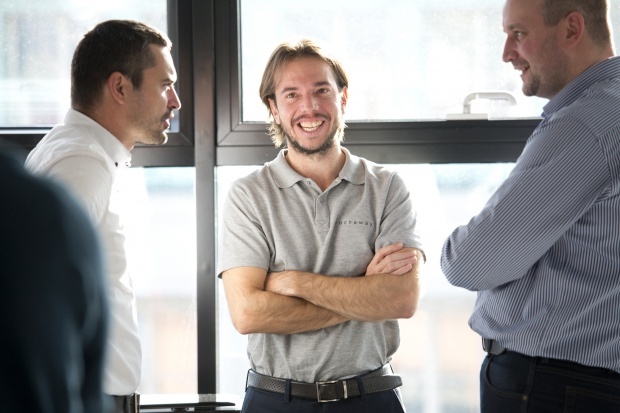 Rockaway Capital – “You can always find some experience where we can learn something from each other” said Jakub Havrlant on second Rockaway CEO´s Day. At the beginning of December, there was an interesting meeting and exchange of experience in Rockaway. On one day, more than 30 bosses as well as complete Rockaway team gathered in Černá labuť. The meeting was opened by Jakub Havrlant. “To bring together all CEOs of our portfolio companies and prepare a relevant program for them seems to be unrealistic at first sight. However, it turns out again and again that it is not important whether one runs a technological start-up with five people or an e-commerce giant, because you can always find some experience which can be applied in general, and we can learn something from each other”, he summed up not only the importance of CEO´s Day, but also the entire Rockaway´s philosophy. One part of morning program was the introduction of new faces: Jaroslaw Czernek joined Rockaway in autumn as an investment partner and described the acquisition of Mall and Heureka; Viktor Fischer is coming to support the cooperation with technological start-ups under Rockaway Ventures and helps them succeed. The whole program was largely focused on corporate culture and work with people.” We realize that corporate culture is what helps us find the right employees. Fortunately, we have quite a big advantage – there are dozens of different corporate cultures in one single building, so if someone is not happy with one kind of corporate culture, it is easy to move somewhere where s/he would feel better, ” said Eva Krausová, HR 2.0. After a short lunch break, the floor was passed to one and only external guest – Marián Jelínek, personal coach of top sportsmen (among others Jaromír Jágr´s). ” Human history confirms that the biggest human performances were, paradoxically, those without any motivation, ” Jelínek said. He pointed out some parallels between professional sport and business, and showed that if one really is to succeed, s/he has to find a balance between desire and intention. Rich program was ended with dinner and a party where even guests from the market were invited. “We have experienced a year of big deals. Business drive is however just one side of success. The fact that we have managed to create a unique team of people is equally important for me. I don´t do it very often, but I would like to thank them that they did it with me, and that Rockaway is not just a job for them,” Jakub Havrlant concluded. You can see complete photo gallery here.